You are here: Home / Hiring a Dog Walker / What Are Hoboken Dog Walking Rates/Prices? As you begin to research dog walking companies, you will find an array of prices for dog walking in Hoboken, NJ. 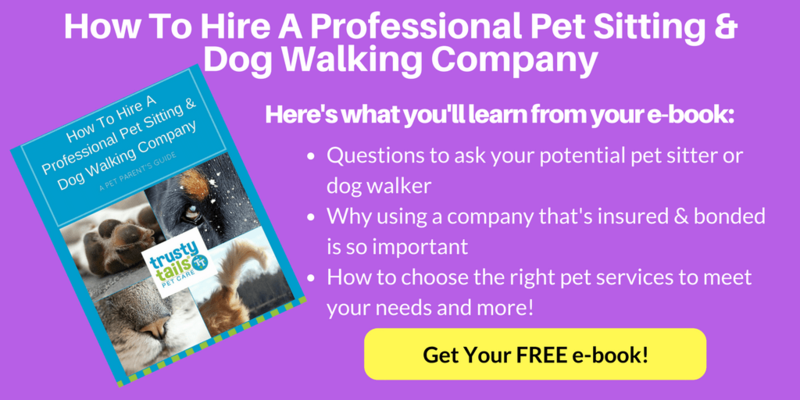 There are many elements a dog walking and pet sitting company considers when setting their dog walking and pet sitting prices. What Affect Hoboken Dog Walking Prices/Rates? 1.) Is the Company A Responsible Dog Walking Business? This is one of the biggest factors. Is the dog walker part of a professional pet care business or working solo. Is the company a responsible dog walking and pet care business? Are they Fully insured and bonded? Are they registered with the government and pay taxes? Do they offer online scheduling, proper billing, and credit card processing? Are staff covered under a Workmen’s Compensation policy? If not, you could be responsible for on-the-job injuries. Do they have a backup plan when your dog walker can’t be there? Or are they an irresponsible dog walking business? Are they off the books, off the government’s radar and run a cash only business? No insurance or workman’s compensation? No backup plan when they are out sick or can’t make it? Do they have Employees who work directly for the company or is work farmed out to Independent Contractors with their own business? 2.) Do They Have Professional Dog Walkers? Hiring a professional dog walking company, the walker should be fully vetted, back ground checked, and trained and this is included in the price of the walk. Hiring an independent dog walker can work out wonderfully and be a less expensive option. Just be sure you do your due diligence in researching the individual and checking references. Hiring a neighbor, high school student, or friend can be even less expensive. Do they wear a uniform so they are identifiable to the community? 3.) What Are the Length of the Walks? Sometimes dog walkers charge by the length of time they will be spending with your dog. We’ve seen as companies offer as little as 10 minutes up to 2 hours for a routine walk. How long does the walk need to be to ensure your pet is properly exercised and has plenty of time to go the bathroom? 4.) What Time of Day Are the Walks? What time of day does your dog need a walk? Dog walker prices may include additional cost for an early morning, evening, or weekend walk that are outside of regular business hours. 5.) Do They Charge Additional For Each Additional Dog? Is the dog walk solo or with other dog friends? A company may also charge for a second or third sibling dog who is joining on the walk. 6.) Frequency of Dog Walks. Some companies offer discounts or packages based on the quantity of walks purchased. What Are Trusty Tails Pet Care Dog Walking Rates? I hope this article helps reduce some of the stresses you are having around choosing the right dog walker. We want to make the process of choosing as easy as possible for you. Trusty Tails Pet Care is registered with the government and employs professional dog walkers trained to care for your dog. We customize pet care plans to fit the needs of you and your dog. Are you interested in finding out more about our prices? We would love to chat with you. Trusty Tails Dog Walking Prices Start as low as $18 for a recurring schedule 4 days per week. Next Post: What happens during Trusty Tails puppy sitting?